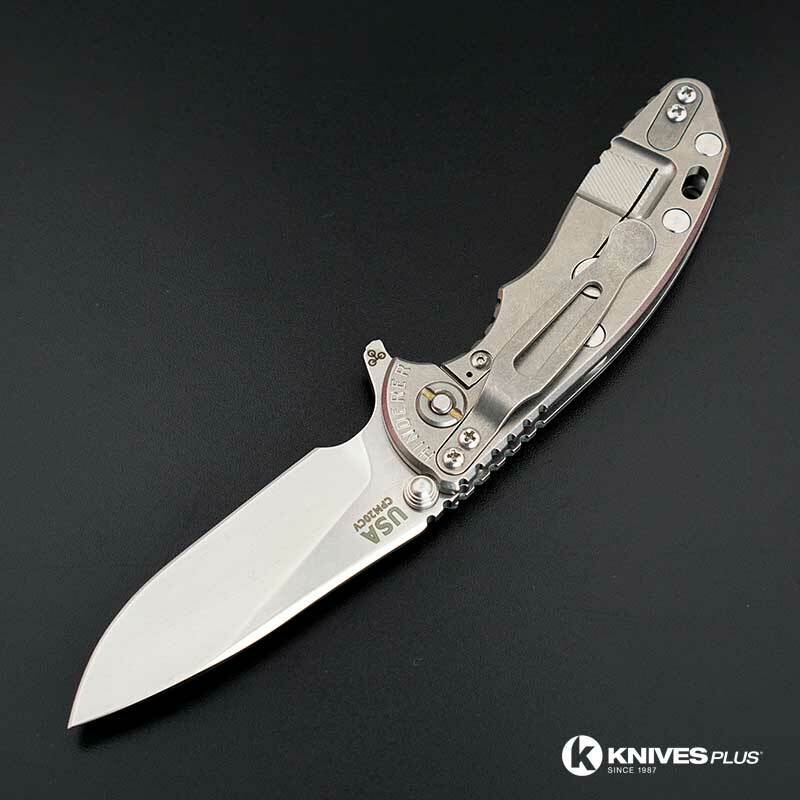 This XM-18 3.0 Inch features a 3.0 inch slicer blade made of premium CPM 20CV stainless steel, .190 inch thick, with a stonewash finish, a notched thumb rest for secure purchase, a press fit ambidextrous thumb stud that locks up against the frame for superior strength against sideways torque, and a flipper for fast opening. 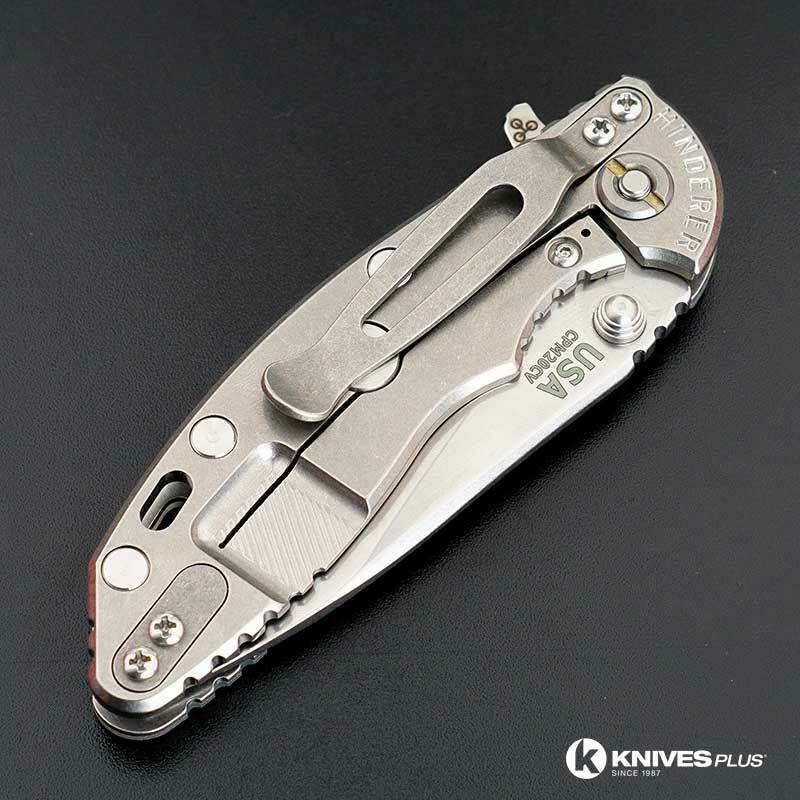 The ergonomic handle, 4.125 inches closed, has the innovative Tri-Way Pivot System that enables the end user to switch between nylon teflon, phosphorus bronze and ball bearing pivot as needed or preferred. 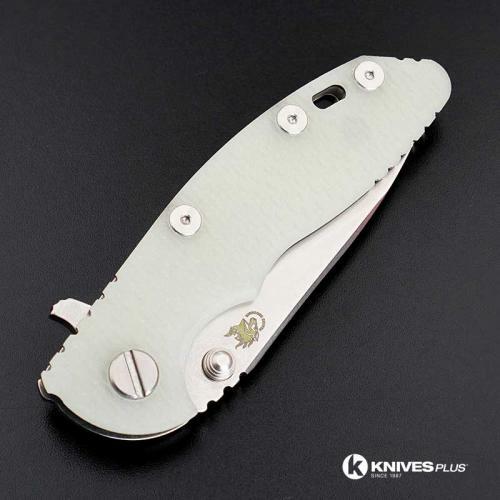 The XM-18 3.0 has a non lock side with titanium liner and textured translucent G10 scale for secure grip, CNC machined stonewash 6AL4V titanium back with sturdy frame lock and Hinderer Lockbar Stabilizer, open frame construction with large standoffs for strength and ease of cleaning, a lanyard hole and an end to end reversible pocket clip. 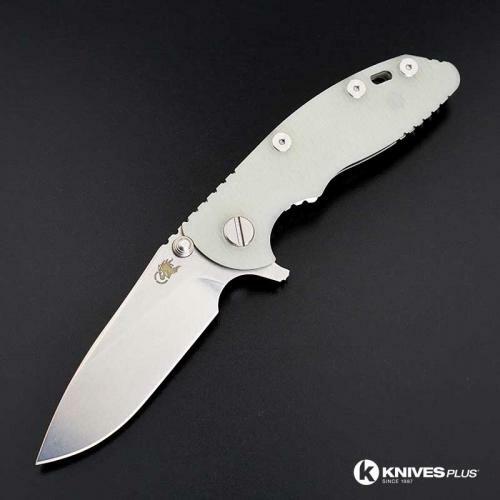 The Hinderer XM-18 3.0 Inch Slicer has an overall open length of 7.125 inches, and it weighs 3.3 ounces. Proudly made in the USA.